I don't know what happened, possibly never will. 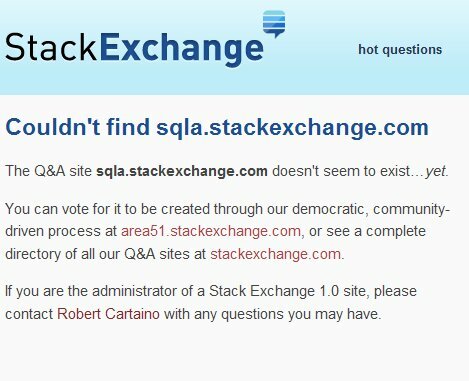 More: jimconstable reports a fogbugz.stackexchange.com outage here http://meta.stackexchange.com/questions/6606/where-has-fogbugz-stackexchange-com-gone (it's back) and Justin reports another SQLA outage here http://sqlanywhere.blogspot.com/2010/11/couldnt-find-sqlastackexchangecom.html?showComment=1289296742642#c4958240640984103701 (it's back as well). At least the first question would suggest this. BTW: Will SQLA 2.0 be the appropriate birthday gift? PS... stand by for a whole buncha "yearling" badges to be handed out.